Since the inception of smart speakers, users have been waiting for more features to debut on them. Google Home being the first popular one, users have always portability on the device. At the IFA 2017, we witnessed the first portable smart speaker with Google Assistant – Mobvoi TicHome Mini. However, it looks like the accessory maker – Ninety7 has been hearing the woes of Google Home users and it launched a snap-on battery ‘LOFT’ that make Google Home portable. Attachable batteries are not new for smart speakers though; Amazon Echo Dot has got the same product ‘Vaux’ earlier this year from Ninety7. For Google Home too, Ninety7 is is the first supplier for attachable battery base. For those wondering how LOFT attaches to the Google Home, it attaches to the magnetic base system on the smart speaker. It adds a battery to the speaker setup with 4 LEDs to display battery levels. It can offer up to 8 hours of usage on a single charge. 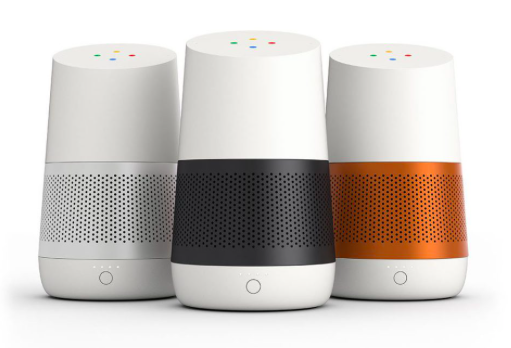 LOFT battery only brings portability to the Google Home smart speaker; you will still need to connect it to a Wi-Fi to use its smart features. However, if you only want to play music on the speaker and not control your home devices, then you can connect your speaker to Bluetooth. LOFT does not come with audio boosting capabilities, but it does make your life easier by making your Google Home unit portable. You can now roam around your house with Google Home or any other place with Wi-Fi in range. The LOFT can be pre-ordered right now for $39.95; its standard pricing is $49.95. Ninety7 will start shipping the product this October. While Google is working on the next version of Google Home, which will be smaller than the first version, it is good to see third-party manufacturers coming up with nifty accessories for the smart speaker. With LOFT, Google Home can easily be used as a portable Bluetooth speaker. Do you own a Google Home smart speaker? If yes, then will you be interested in buying LOFT for it? Share your thoughts in the comments section below.